Click on the link to view and download the Second Chapter: 2) Are you two people? 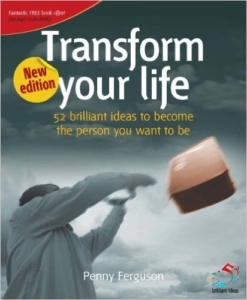 I am choosing to upload one chapter each week from my first book – ‘52 Brilliant Ideas how to Change Your Life’. Many of you may not have read it and, although written some time ago most of the ideas are as applicable today as they were when I wrote them. I have modified them where I feel I can add a little more meaning and where I am not limited to the amount of words that I use. Feel free to download all chapters that have some meaning for you and I hope you find some of the ideas thought provoking and useful. Each chapter has some questions at the end which are typical of the sort of questions that I get asked when running our Living Leader Programme or giving a talk. This allows me to give you a further example of how the idea might work. I hope you enjoy reading these and I would love to hear from you if you have any experiences or thoughts on the ideas that I am putting across. Enjoy! Responsibility – it’s all about me.